Pausias; Greek painter from Sicyon. 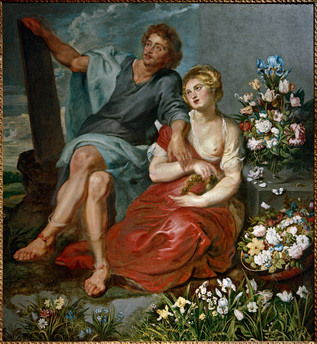 (Pausias and his lover Glycera). Oil on canvas, 203.2 × 194.3 cm. Sarasota, Ringling Museum of Art.